​David Roberts was born in Whiston in 1887 and enlisted in Whiston. Originally he was Private 670 in the Lancashire Hussars and when they were amalgamated into the King’s Liverpool Regiment he became Private 300354 in the 18th Battalion. He was killed while on active service on 28th March 1918 and is remembered on the Pozieres memorial, panels 21-23. 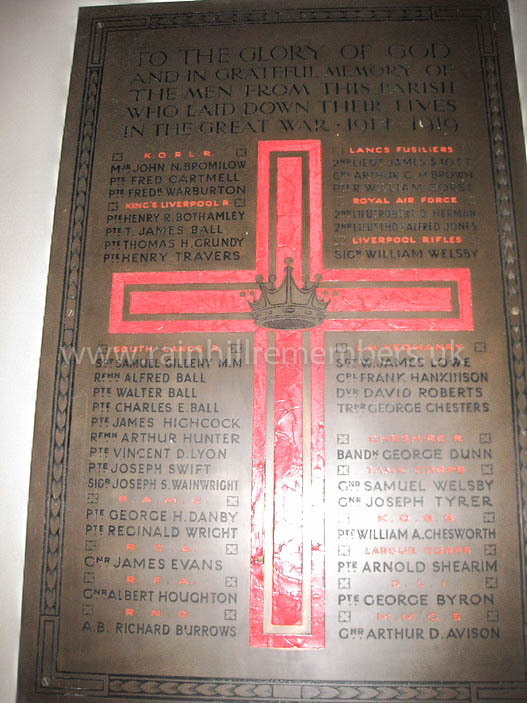 The name of David Roberts can be seen on the Brass Plaque in St. Ann's Church, Rainhill.